In 1989 Micah Clark graduated from Southwest Baptist University in Bolivar, Missouri with a bachelor’s degree in Political Science. Micah interned as a member of the Indiana House of Representatives’ Republican staff and later became an Assistant Campaign Manager for a State Senator. Micah then served as a legislative assistant for Citizens Concerned for the Constitution. He served as the Indiana Family Institute’s Director of Public Policy, and later as its Executive Director, throughout the 1990’s. Micah is the only person to have served with all three of Indiana’s top statewide pro-family organizations. 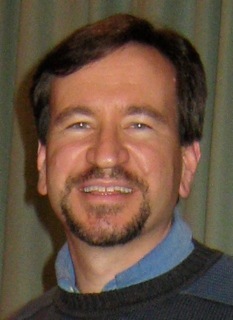 In November 2001, Micah became the Executive Director of the American Family Association of Indiana. His experience has helped AFA expand into an organization with a consistent state house presence while maintaining its role as Indiana’s leading decency organization. Since joining AFA of Indiana Micah has conducted nearly 600 media interviews as its executive director. Governor Frank O’Bannon appointed Micah to serve on his Education Roundtable. Micah was re-appointed for a second term by Governor Joe Kernan. In October 2007, Citizens for Community Values of Indiana named Micah its “Citizen of the Year” for his work for family values in the political arena as both the head of AFA of Indiana and the President of the AFA of Indiana Political Action Committee. In September 2008 Micah was given the Respect Life Award from Right to Life of Indianapolis for his leadership on life issues in Indiana.